Tegula brunnea wird umgangssprachlich als Braune Tegula bezeichnet. 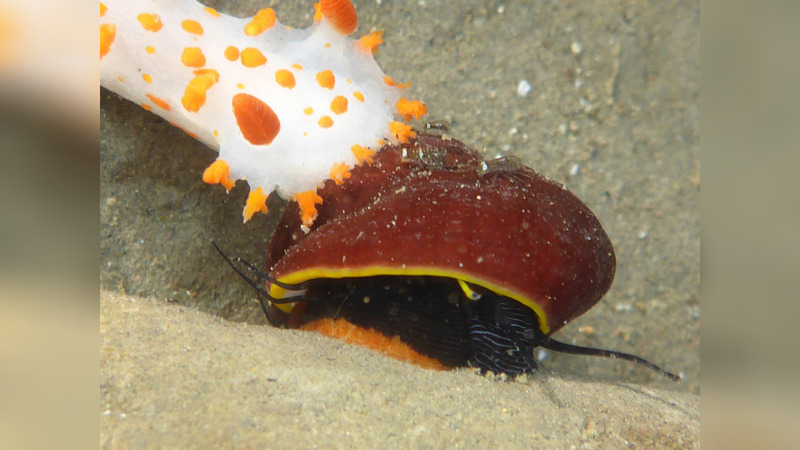 The shell is russet-yellow, brown, orange-colored or deep crimson.This is an Eastern Pacific Ocean species. Similar to Tegula funebralis und Tegula montereyi .